First-World cities with every modern convenience, beachfront hideaways, medieval towns, tropical islands, temperate mountain valleys... You can choose your favorite climate, your preferred lifestyle...the place you feel most at home...because the world's best retirement havens have it all... and for pennies on the dollar, too. In this, our annual Global Retirement Index 2014, we profile the best destinations for good-value living around the world today. Panama is the best place in the world to retire according to InternationalLiving.com's 2014 annual Global Retirement Index. Photo courtesy of InternationalLiving.com. We consider not only a wealth of statistics, but -- critically -- more than three decades of expertise and current insights from our network of correspondents. Our experts -- expats themselves -- live in the places we rank and scout all over their adopted countries on your behalf. Each year we ask them to respond to a long list of questions designed to get their fresh views on old places, and expert opinions on new ones. All the countries at the top of our Index were in close contention for the number one spot. But our winner -- Panama -- snags first place by a hair. Along with the world's best range of retiree benefits, Panama has introduced new visas, which make it easier to gain residence there, and made major advances in infrastructure. This means it simply out scores last year's winner, Ecuador. Because of Spain's economic crisis you'll find more attractive opportunities there than ever to embrace an affordable life in the Old World, lifting that country into fifth place in our Index this year. But whatever you see on our leader board, just remember, we measure here only the very best havens. So the country last on our list -- newcomer to the Index Cambodia -- is still one of the best in the world. Panama's allure lies in a rare combination of value and variety. Plenty of places in the world offer one or the other. But how many offer both? When it comes to attractive retirement destinations, the list is short and Panama is at the top. It's the only country in Central America with a true First World city. But unlike most South American capitals, Panama City is only two-and a-half hours by plane from Miami. (And let's not forget that, unlike some places closer to the U.S. border, Panama is hurricane free). Nearly everything about Panama is convenient, particularly if you're coming from North America. The currency is the dollar, English is widely understood, and the international community is large and welcoming. The country also has welcoming immigration policies. 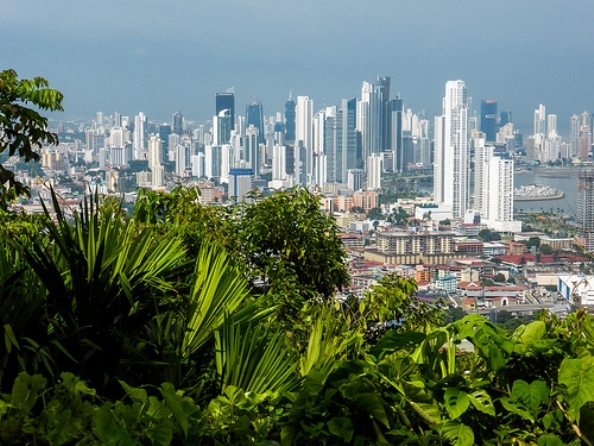 Last year, two new residence programs made it easier than ever to move to Panama. Quite a feat, since Panama has always been accessible in that regard. The Pensionado or pensioner residence program--which helped put Panama on the map as a retirement destination in the first place--is the primary reason. For anyone with a government or corporate pension, residence is almost a given. That's regardless of age. The main requirement is simple: your pension must be at least $1,000 a month...and even that rule has its exception. Ecuador is the second best country to retire to in InternationalLiving.com's 2014 annual Global Retirement Index. Photo courtesy of InternationalLiving.com. Coming second in the Index this year is Ecuador, which remains the perfect-weather, majestic-scenery, affordable place it has always been. The Ecuadorians are just as warm and welcoming and the opportunities for retirement are just as fertile. And Ecuador remains a top destination when it comes to affordability. Where else can you rent an upscale, fully furnished apartment in the heart of one of the world's largest World Heritage historic centers for just $400 a month? Or take a taxi across town for just $2 or $3? Most retired couples in Cuenca, the most popular destination for English-speaking retirees in Ecuador say they live there quite comfortably--all in--for $1,500 to $1,800 a month. And that typically includes rent. Two- and three-bedroom apartments can be rented for $300 to $600 and that often includes furnishings. You'll find Cuenca, a city of 350,000 to 500,000 (depending how widely you throw the net) in southern Ecuador, closer to the country's second international airport at Guayaquil than to Quito. Like Quito, the central historic area of Cuenca is also a World Heritage site and the iconic blue domes of its new cathedral and the red tiles of the ancient Spanish colonial buildings can be seen from the windows and terraces from many an expat residence. Even along the coast, despite the equatorial location, daytime temperatures rarely reach 90 degrees, and you'll experience far less humidity than in many other tropical destinations. 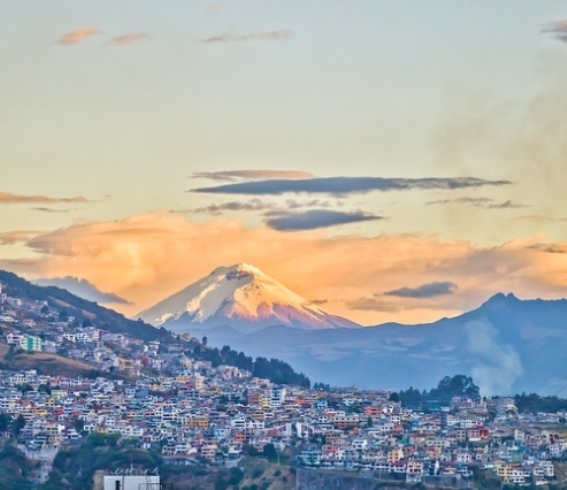 Like other top retirement destinations, Ecuador offers a good private health care system, especially in the three largest cities of Quito, Guayaquil, and Cuenca. And if you're over 65, you can avail of some nice retiree benefits, including a return of money spent on VAT (value-added tax) on your purchases refunded each month--up to about $250. Ecuador offers something for everyone, whether you're looking for sophisticated city living or the life of a gentleman farmer... And for a small country (about the size of the state of Colorado) it packs a big punch environmentally. And, as in Panama, Ecuador hasn't lagged in its infrastructure progress. This past February, the country's new $680-million airport opened just outside Quito. In the northern area of the country, a high-tech "City of Knowledge," called Yachay, is being built. Work continues at a steady pace to upgrade and widen the Pan-American Highway. The economy, too, is stable and growing--Ecuadorians themselves are enjoying better-than-ever lifestyles. So if you're on the fence, trying to decide between the top countries on our Global Retirement Index this year, you have a tough choice. Ecuador remains a top contender. Malaysia comes in third place in InternationalLiving.com's just released annual Global Retirement Index. Photo courtesy of InternationalLiving.com. The average temperature is 82 F all year round, and you'll find some of the best beaches in the world here. There are cool hill stations, mountain retreats from the time of the British Raj, islands to hop or explore by yacht, and heath care is second-to-none. Penang Island, in the north east and Kuala Lumpur, the country's capital in the south, are medical centers of excellence. The hospitals are top-notch and the physicians speak English, having been either trained or completed their postgraduate studies in the U.S. or UK--which makes the cost of health care all the more incredible. You can see a specialist without any need for an appointment for as little as $11. Just turn up. It's the same with dentists. Infrastructure here is First World and you'll have no problem finding high speed Internet or cable TV (Packages cost from $30 a month). If you choose to drive you'll find the roads are excellent. And when you move to Malaysia you can import a car--and your household goods--duty free. There is a program that allows non-Malaysians to stay in Malaysia on a social visit pass for 10 years. Called Malaysia my Second Home, it's automatically renewable for an additional 10 years when it expires. If you are retired, you need a fixed deposit of RM150,000 ($46,707), and you can draw down half that to buy a property, go back to school, or for medical purposes. On top of that you must show proof that you receive a pension from the government of RM10,000 ($3,114) per month. As a rule of thumb the older you are the easier and cheaper it is to join the program. If you choose to buy property Malaysia makes it easier for you as a foreigner than anywhere else in the region. You can buy freehold and there's no limit on the number of properties you can own either, just a minimum purchase price set by the local government (it's $163,500 in Penang). The country's diverse ethnic mix makes being a stranger here easy. 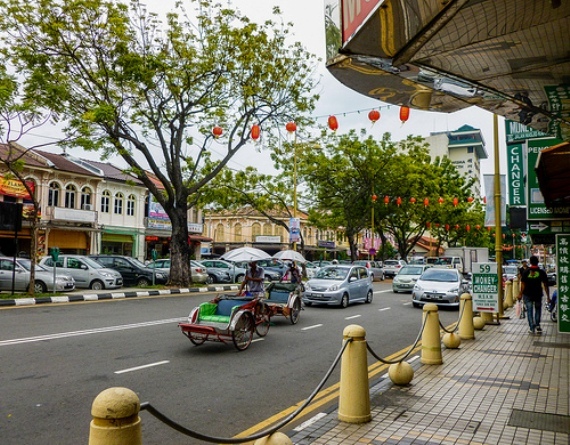 Whether you live in bohemian Penang or Kuala Lumpur, the country's hip capital, you'll meet friendly locals who are happy to stop and chat and welcome you into their home. People are accepting, just ask the international mix of expats all on the same journey as you and happy to share. Many expats are members of organizations like the American Association of Malaysia and an active social life is easy to find. With good quality dining so cheap (you can have dinner for $3, a gin and tonic is $2) most people find themselves out at least a few times a week. If you want to keep busy and earn some money, starting your own business is an uncomplicated process. There are expats here running cafés, yoga studios, restaurants, and schools and making money through exporting optic fiber cabling. Malaysian's also have a lot of respect for older people; in fact it's an intrinsic part of their culture. A full-time, live-in maid costs just $400 a month, and single older expats hire maids with nursing abilities, who care for them in the comfort of their own home. Betty Cotton, who lived in San Francisco for many years does just that and wouldn't be without her live-in maid. "I moved to Malaysia by myself when I was 85 years old. I live in my own home, I have my own things around me, and if I need anything, anything at all, I have great neighbors who are just a phone call away. I wouldn't live anywhere else." For the full report on the World's top retirement havens and all the final scores, see here: "The World's Best Places to Retire in 2014" .